We believe in the uniqueness of each project and of the people involved. located near the ancient Convento delle Grazie, reconnecting past and present through the urban revitalization of a space dedicated to commerce and the history of the â&#x20AC;&#x2DC;900. An iconic highly performant shell that makes M9 the landmark in the city while contributing to the sustainibilty requirements. The project consists of two new buildings, one large and one small, the restoration of a former convent and two renovated small buildings (le Cavallerizze), each historically significant. All together, they frame a new public square and open up a diagonal pedestrian link through the courtyard of the 16th-century Convento delle Grazie. Engineering and architecture synergistically work together to create a sustainable, high-performance building whose primary aim is to enhance the use of public space. The main structure is a concrete shell that provides a continuous support to the post-tensioned concrete thin-slabs that span 12 m. The concrete shell touches ground at only two points, the building appears to float above the ground. The glazed storefront provides entrances to an abundance of free-access facilities like the media library, the 200 seat auditorium, the museum shop and the café. An integrated approach led the design team to solutions that maximized the value concrete brought to the project, concrete becoming a leitmotiv for the M9 Museum. Thermal mass is the leading energy concept. Energy consumption is reduced through the high thermal storage capacity provided by the concrete mass itself and the distribution of concrete walls around the building’s perimeter. The building is certified LEED Gold. A grand, scenic staircase leads to the upper galleries and event spaces. The permanent exhibition occupies two ‘black box’ floors, while temporary exhibitions are housed in a naturally lit ‘white box’ on the top floor. A meticulous approach to details and careful attention to lighting and acoustics create an extremely efficient spacious, column-free open gallery where natural light coming from the shed roof shed prevails. Relying on the brilliance of its polychromatic ceramic façade, the project strives to create a new identity for the city. By synchronizing objectives in terms of energy efficiency, structural performance, constructability, materials research, and systems maintenance, M9, the Museum of the XXth Century, is an icon. With the creation of the new museum, the refurbishment of the former late-16th century convent and the renovation of a 1970s office building, the M9 creates a dialogue with the past while returning an underutilized area to the city.. RESPECT Urban renewal: engineering and architecture synergistically working together to create a sustainable, high-performance building whose primary aim is to enhance the use of public space. Museum. Thermal mass is the leading energy concept. renovated small buildings (le Cavallerizze), each historically significant. and systems maintenance, M9 is an icon. building is certified LEED Gold. Providing a complete and tailor-made service are the objectives of SCE Project s' team approach. INTEGRATED DESIGN 10 Integrated Design is the result of a collaborative approach by a multidisciplinary team of specialists with common objectives. Passionate experts, we enthusiastically undertake even the most complex challenges synergistically and creatively contributing to the enhancement of each project. SCE Project makes use of very high-profile partnerships in the complementary specialist sectors, with the common goal of keeping faith in the architectural concept and respecting the budget. A complete and tailor-made service are the objectives of our work. A multidisciplinary and innovative approach always produces new solutions, guaranteeing maximum optimization In terms of result, time and cost. campus located in San Donato Milanese. The new headquarters has been designed to contribute to the urban development of the area. The Eni Headquarters’s three buildings, linked by sky-bridges, embody the layered composition of the Earth with programmatic zones organized in strata. Highly performant envelop to ensure the best thermal, hygrometric and visual comfort inside the buildings. site area (smq.) Thanks to the software interoperability guided by a clearer initial understanding of the construction techniques, our service is true to the architect’s idea while tailored to the client’s requirements. Eni Headquarters is the first construction in Italy whit a tendered BIM Model. The buildings of the new Eni Directional Center emerge from the landscape as an urban island. They are arranged around a central square and overlook everyday activities, atria, conference center and staff restaurant through floor to ceiling windows. Connected by skyways, the three main buildings integrate the complex with the city establishing a strong visual presence for the company. The mixed use of steel and reinforced concrete allows elegant solutions such as bridges, cantilevers and counter sloping facades. The design of the faรงade is inspired by the geological formation of the Earth, visible in the optical effect adopted for external cladding of micro-perforated metal sheeting and the stratified forms of the buildings that seem to emerge from the site. The higher floors provide maximum flexibility of use to meet the needs of the company both in terms of office space and in common areas, maximizing natural light. The complex has been designed to achieve LEED Gold certification. SCE Project provided BIM and data management services with the aim of facilitating and optimizing the construction phase. We are currently involved in producing the shop drawings, as well as providing coordination and technical assistance on site. We are committed to making each project a landmark in the urban landscape by searching for optimal solutions that respect the original concept. FACADE ENGINEERING 10 The facades are the identity of the project. In SCE all engineering aspects of the facades are addressed synergistically with the goal of ensuring maximum performance. Natural lighting of the interior environments and the structural design interface need to be in complete creative coherence with the architectural concept. The team focuses on the design intent of each construction detail of every faรงade system. By synchronizing their skills in terms of energy efficiency, structural performance, constructability, materials research, and systems maintenance, the result is a coherent and unique building identity. As faรงade systems specialists, at SCE we are determined to provide a quality product with precise detailing. We count on our experienced specialists who are called on to intervene, not only in design, but also in diagnostics, recovery and management, to offer specialist advice in every building type. The design of the 52,500 seat Stadio della Roma is inspired by one of Rome’s most important A full service integrated design from concept to technical assistance on site that allowed a 360° mastering of the project. Italian heritage buildings - ‘The Colosseum’. Special attention was given to the design of the facade, focusing on materials and contrasts such as modern steel and glass versus heavy, ‘floating’ stone.The entertainment complex covers a vast site that includes the design and construction of a medical center, AS Roma museum, restaurants and shops. Best quality result by coordinating the output of the various teams that were selected all over the world. The different Project Teams were able to work on separated models. This guarantees a simplified interoperability and a faster activity on the model. The impetus for the new Roma Stadium in Tor di Valle stems from the need of A.S. Roma to have its own facility within the new Italian regulations for sports facilities. The UEFA Category 4 stadium has a total area of approximately 53,000 square meters. In addition to the stadium, SCE Project was involved in the design of the AS Roma training center, the Hall of Fame, the hotel, and the medical center, all co-located in the area known as Roma Village. The individual buildings area connected with a system of paved and landscaped public squares. The main square, at the foot of the grand staircase which rises to the podium of the stadium, overlooks the Medical Center. With a capacity of almost 60,000 spectators divided into three tiers, a natural grass playing field and a translucent roof protecting all the seats with a PTFE covering, the project takes its inspiration from the most famous amphitheater in the world: the Colosseum. The steel and concrete structure is surrounded by a stone cladding that recalls the rhythmic facade of the famous arena. The roof, of steel, PTFE and polycarbonate, recalls in shape the Velarium, the fabric used by the ancient Romans to cover the upper corners of the Colosseum. The result is a dynamic and contemporary form that refers to the historical richness of Roman architecture. BIM was utilized to provide a detailed and technical integrated design through a common platform. SCE Project provided coordination between all the disciplines supported by clash detection reports and team meetings. Every building element was attributed with appropriate data regarding the category, material, breakdown structure and performance, in order to assist in providing quantity take-offs and cost estimation. The Stadium Bowl shape was designed to provide the highest-quality visibility factor from every seat. Future growth is accounted for via adjusting the seats mounted on a rail system and adding rows in specific areas. BIM & DATA MANAGEMENT 10 BIM is a key tool for the control and optimization of the buildingâ&#x20AC;&#x2122;s life cycle, from the design phase to the construction phase and continuing beyond to the management and maintenance phase of the building, where the maximum benefits are realized in terms of the optimization of time and operating costs. Starting from the design phase executed entirely in BIM, the coordination between the various specialists and the embedding of information and project criteria is guaranteed with the sharing of all the geometric, physical and performance characteristics of the construction elements. Quality control, consistency, and precision of the design documentation (spreadsheets, schedules, estimates, programming, etc.) are guaranteed with automatic data extraction from a single centralized database. The virtual model is also used during construction by the Construction Manager and by the contractor to verify the completion of the work, the construction schedule, and to record any changes to the project that took place during construction. Located in Largo Isarco, south of the city center, the complex is the result of the transformation and expansion of an early twentieth century distillery which represents an important and innovative urban redevelopment of a large area. The project consists of seven existing buildings and three new structures: Museum, a space for temporary exhibitions; Cinema, a multimedia auditorium; and Tower, a permanent exhibition space of ten floors. Located in Largo Isarco, south of the city center, the complex is the result of the transformation and expansion of an old early twentieth century distillery which represents an important and innovative urban redevelopment of a large area, developed on a total area of 19,000 sqm. The project consists of seven existing buildings and three new structures: the Museum, a space for temporary exhibitions; the Cinema, a multimedia auditorium; and the Tower, a permanent exhibition space of ten floors. The new building provides a total of 2,000 m2 of indoor exhibition space across six levels, as well as a restaurant, a bar and a 160 m2 panoramic terrace. The 60-meter high Tower is realized in exposed white concrete. The new building provides a series of different exhibition conditions that together, with the other buildings, define the architectural vision of the foundation. The clear height of the ceilings increases from bottom to top, varying from 2,7 meters on the first floor to 8 metres on the last. The external faรงades are characterized by an alternation of concrete and glass surfaces, which allows exposure from a northern, eastern or western side on the different floors, whereas the top gallery space is exposed to indirect light. One of the unique aspects of the project s the dialogue between the renovated, existing buildings and the new. While each remains distinct, they compliment and contrast in a process of continuous interaction. Variety can be appreciated by the constant dialogue between old and new, horizontal and vertical lines, large dimensions and smaller spaces, open and enclosed environments. Restoration & preservation is not only about heritage. It is about recognizing the value of our built environment and offering new life to existing buildings and urban areas. RECENT PAST & URBAN RENEWAL 10 SCE Project also specializes in restorations and renovations of existing buildings and structures. Special attention is given to aspects of fundamental importance, such as diagnostics, the selection and adoption of conservation techniques and materials, analysis, testing pre- and post-intervention, and monitoring during the construction phases. Indeed, the primary services offered by our offices in Asia are detailed design and structural refurbishments. Considering the renewed interest in preserving the cultural monuments in East Asia, our expertise in structural renovations gives SCE Project a unique advantage. Restoration and preservation is not only about heritage. It 's about recognizing the value of our built environment and offering new life to existing buildings, increasing their resilience, and maximizing their continued utilization in the years to come. Itâ&#x20AC;&#x2122;s about safeguarding the connection between past, present and future. The Prysmian Group Headquarters sits in the context of one of the largest requalification and urban restructuring operations of the 20th century in the Bicocca zone of north Milan. The reinterpretation and reconstruction of 22.000 sm of industrial buildings, the aesthetic pays tribute to the historical Milanese factoriespreserving the memory of the past, maintaining and restructuring the original external walls, and by using the same construction systems and technology to rebuild a series of missing parts, clad in a new material. To realize the objectives, and in consideration of the specific pre-existing conditions, the project started with an analysis of the entire facility to ensure that the design would not disrupt the memory of the area’s industrial past, while simultaneously focusing on new objectives relating to the workplace environment and sustainability. The analysis also included assessing the client’s needs and this, coupled with the urban planning parameters, led to the solution of a complex of four buildings set around two large biometric greenhouses - full-height spaces realized by voiding out the spans and enclosing them with full-height glazing. The greenhouses allow north light into the previously dark spaces, optimizing the building’s efficiency and workplace environment while simultaneously improving the building’s overall energy performance. South facing roofs are fitted with photovoltaic panels as well as micro-perforated mechanized shading to control heat gain through the roof. Additionally, mechanized shading is also used to control luminosity and glare in the offices. All the vertical circulation systems (stairs and lifts) are situated around the greenhouses, as well as spaces for group social interaction. The outer shell of the main building was left to respect the original dimensions, geometries, and exterior alignments within the greater context of this historic industrial zone. The facades were selectively replaced with high-performance metal cladding panels glazing. By transforming its headquarters into the greenest and best place to work in Milan, Prysmian has boosted its productivity while reducing its carbon footprint significantly and becoming a case story of good practice. All design solutions and methods implemented by SCE Project consider resource management. Care is taken in the selection of materials and in highly sustainable building construction techniques. We rely on and collaborate with colleagues who specialize in researching renewable energy solutions and providing experience and multidisciplinary expertise to achieve our commitment to the highest environmental quality standards. Projects with specific sustainability certification requirements are followed by our in-house experts who are responsible to ensure the entire project meets the determined certification. The Trentino Michelin plant was founded in 1927 and continued uninterrupted production until 1997. In 1999 the structure was decommissioned and abandoned. Located between the railway line and River Adige, a few hundred metres from the old center of Trento, the ex-Michelin area has been the subject of the most significant urban redevelopment project ever carried out in Trentino. The transformation of an area of little interest into a new urban centre, which constitutes a point of socio-cultural aggregation and of collective interest, is without doubt the most important aspect of the intervention, achieved through careful mending of the social fabric and the recovery of the relationship with the natural environment. The complex, imagined and designed by architect Renzo Piano, covers an area of 11 hectares. 300 apartments, 30,000 sqm of offices and shops, 2,000 parking spaces, 30,000 sqm of squares, roads, pedestrian and cycle paths and 5 hectares of public park have been created. Two types of building characterize the intervention: in line and in court. In line buildings are located along the axis of the railway and have non-residential functions. They are acoustically protected and constitute, on the eastern front, a barrier against the noise coming from the railway. The courtyard buildings, mainly residential, are characterized by â&#x20AC;&#x153;cutsâ&#x20AC;? that permit viewing of the internal gardens. The roofing system unifies the complex. STRUCTURAL ENGINEERING 10 Constant investments in development and innovation are the basis of the success of a multi-disciplinary and brilliant team, always looking for creative solutions. Maintaining the project objectives is ensured through great ability in problem solving and a tailor-made service result-oriented approach. In the structural engineering sector, SCE Projectâ&#x20AC;&#x2122;s vast and varied experience is the basis of our flexible and conscientious workflow. Each team of engineers not only have great expertise, they focus maximum attention to crucial elements such as careful coordination with the architectural design; construction details, means and methods; construction safety; construction schedule and cost control; research and selection of materials; and innovative construction techniques. The use of Building Information Modelling (BIM) programs as a tool for sharing information among the various specialists; the ability to use the most current calculation software; and exploiting the interoperability between todayâ&#x20AC;&#x2122;s tools make it possible to complete structural projects of any nature, scale, and complexity. Providing intelligent solutions to challenging problems, SCE Project is a global, multidisciplinary, architecture and engineering firm offering integrated design and management services. 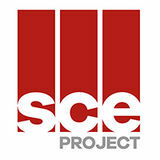 SCE PROJECT is an engineering practice founded in April 2001 by Fabrizio Bozzi, Stefano De Cerchio and Manuela Fantini. SCE Projectâ&#x20AC;&#x2122;s integration of multidisciplinary services provide solutions that are of the highest quality and meet time and cost targets. With over 700 built projects in Italy and abroad, SCE Project is the ideal choice for a reliable partner whose focus on planning, building systems, technical documentation, and project management produces the best results. With offices in Milan, Rome, Los Angeles, Singapore and Ho Chi Minh City, SCE Project employs over 100 highly-skilled professionals including engineers, architects, and specialists, alongside administrative, IT, and support staff. ETHOS Passion for its work and a strong spirit of initiative distinguish our teams who are led by senior staff whose common knowledge base and experience inform every project. Principals actively lead project teams in a practice where active participation is encouraged. Commitment to innovation and the evolution of our staff are one of the primary reasons for the success we have achieved over the last 17 years. We strive to select and develop the most promising figures in the industry from an ethical, creative, and technical standpoint. RESEARCH Young architects and engineers are valued teammates whose new ideas challenge us to keep open minds when searching for solutions. We acknowledge the changing world we live in and feed on the enthusiasm and desire to investigate new methods and software that our younger staff bring to the design process. Working together in this open, creative environment, we experience individual growth while sharing in the joint successes of our teams and our projects. To ensure the maximum optimization in terms of cost and timing, while meeting the best functionality, SCE Project involvement always begins from the very earliest stages of the design process with an innovative multidisciplinary approach. Thanks to the great capacity of fully understand the integration between all the disciplines, the aim is that of bringing added value to design with a great attention to local regulations and common practice. WORLDWIDE Working with international clients seeking to build in Italy, the primary service offered from our Los Angeles office is project management. We have the capacity to work on projects of any scale and complexity and bring the added value of clear communication to the complex process of developing in Italy. Detailed design and structural refurbishments are our primary services offered from our offices in Asia. Our expertise in structural renovations gives SCE Project a unique advantage given the renewed interest in preserving the cultural monuments in East Asia. Although spread across different continents, the common culture found in each office of the SCE Project group is our genuine delight in and dedication to the craft and technology of building. Quality certified under the Quality Management UNI EN ISO 9001:2015 system is essential, achieved through a methodical analysis of these factors and reliance on our experienced professionals using the most advanced tools in the industry. In addition to specialized expertise, the SCE Project team also boasts the most sophisticated hardware and software equipment for the development of a fully integrated and optimized design and the control of the quality of the project from the beginning to the completion of the construction. We do not bring predetermined responses because we believe in the uniqueness of each project, instead we recognize every new problem according to a result-oriented approach. and evaluated by the team. best solutions, and working together with the client to assist in making the final decisions. Over the years Stefano De Cerchio has influenced the development of a multidisciplinary approach which has contributed to the success of large-scale, challenging projects in which SCE Project has been in charge of full service design. Thanks to his organizational skills and an aptitude for problem-solving, he manages each project in close collaboration with the other branches of design, from concept to realization. He continues to distinguish himself in the role of Site Manager in both private and public large-scale initiatives, paying particular attention to construction costs and construction on site. Thanks to twenty years experience as Project Manager, Manuela Fantini has successfully led numerous projects in different sectors, always managing to identify the resources and tools necessary to guarantee the best results. A passionate advocate of a proactive and multidisciplinary approach, Manuela is actively involved in identification of design solutions requiring a mastery of architectural space. Manuela is renowned for her particular abilities in developing the structural and architectural design of facades: a sector in which her marked efficiency in the use of materials has proved to be a determining factor on many occasions. During his career, Fabrizio Bozzi has contributed to the development of large - scale projects for residential, commercial and tertiary purposes. He has been Project Manager of major projects related to both the construction of new buildings and the restoration and seismic upgrading of historic buildings. He has held the position of Site Manager for numerous projects that have required the design of innovative systems and avant-garde solutions, developing the structural design in collaboration with the most renowned Italian construction companies. Quality, creativity, research, and innovation working together to provide a tailor-made solution are the core values of our worldwide group. Kim Groves began her career at the Morphosis studio, collaborating with the award-winning architect Thom Mayne as a designer and architect. She was responsible for managing the design team for the ENI Headquarter in San Donato Milanese, Milan in collaboration with SCE Project. Kim is charge of everything related to projects in the US market and holds the position of CEO of SCE Project USA. Since joining the SCE Project team as Project Manager in 2014, Kim has been responsible for the development of international projects and in which the SCE design team works closely with American architects and developers. As a meticulous project manager, Kim makes communication a priority, putting interaction with designers, external consultants and the client first. Kim focuses on compliance with initial inputs such as budget and paying particular attention to the client satisfaction. Luigi Campanale’s experience and knowledge of the Asian market and in the management field allowed him to take part in high profile projects. Luigi also collaborates with several public institutions on the Asian market such as the Italian Institute for Culture in Tokyo, the Italian Embassy in Japan and Vietnam, the Italian Chamber of Commerce and the Italian Commercial Commission (ICE) in Japan and Vietnam on behalf of which he actively takes part in conferences and events. Luigi is the Project Manager in charge of the 888 project – Danang in Vietnam, a project covering an area of ​​4500 sqm and of the restoration of the ‘Secretariat’ in Yangon, the most important building of the former capital of Burma. WHO ROBERTO CEO SCE Project ROME Thanks to his determination and strong ability to find innovative solutions for every situation, Roberto Casartelli continuously covers the role of General and Structural Site Manager. His versatile attitude and his strong ability to face complex issues with a great spirit of initiative, give him competence in all phases of coordination: from cost control to specialist assistance on site.